260Gsm 50% Cotton 43% Polyester 7% Spandex. A Stylish Sleeveless Hoodie That Is Light And Comfortable. Emits A Cool Heather Look. tone to tone Stitching. Pockets. Part Of The Greatness Series. Colours: Dark Heather, Navy Heather, Sapphire Heather, Jade Heather, Hot Pink Heather, Red Heather. 260Gsm 50% Cotton 43% Polyester 7% Spandex. A Stylish Sleeveless Hoodie That Is Light And Comfortable. Zipper Through. Emits A Cool Heather Look. tone to tone Stitching. Pockets. Part Of The Greatness Series. Colours: Dark Heather, Navy Heather, Sapphire Heather, Jade Heather, Hot Pink Heather, Red Heather. Outer: 94% Polyester 6% Spandex. Lining: Bonded Micro Polar Fleece. Zipper Through In Front. Side Pockets. Detachable Hood. Very Warm And Comfortable. Colours: Black, Charcoal. Outer: 94% Polyester 6% Spandex. Lining: Bonded Micro Polar Fleece. Side Pockets. Very Warm And Comfortable. Suitable For Uniform And Outerwear. Colours: Black, Navy. Yarn Dyed Stripe Apron. 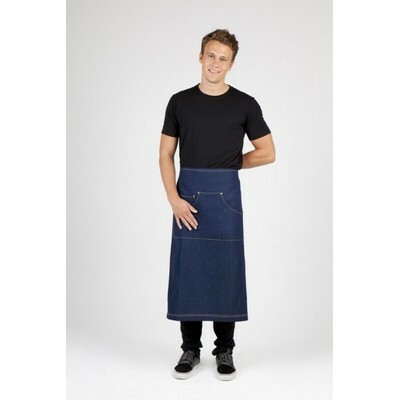 220Gsm 75% Cotton 25% Polyeste Denim With Kangaroo Pocket And X" Shape Strap Stick With Brass Buckle ( 70Cm Wide X 82 Cm Tall). Black; Navy; Light Blue. Yarn Dyed Stripe Apron. 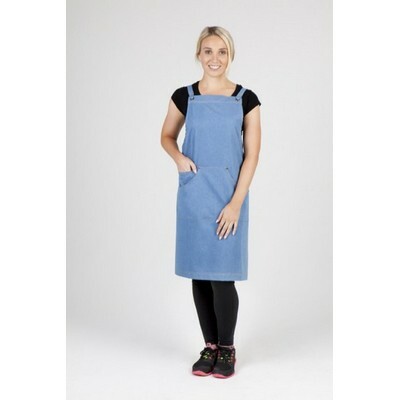 220Gsm 75% Cotton 25% Polyeste Denim With Kangaroo Pocket And X" Shape Strap Stick With Brass Buckle ( 82Cm Wide X 90 Cm Tall). Black; Navy; Light Blue. Mens charcoal heather soft touch fabric long sleeve top. The top features a ½ zip at the centrefront with reflective edge, 4 needle 6 stitch at armholes, self fabric collar and reflective decals on both sleeves and back yoke. 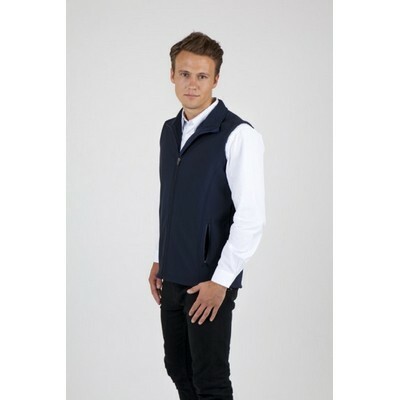 All tops come with a loose pocket - we can attach the pocket for you. *charges apply. Fabrics: 150Gsm 100% Polyester Cooldry Heather Fabric. The fabric has Aegis Microbe Shield (anti-bacterial treatment applied to the fabric) Colourways: Charcoal Heather. Size: S-3XL + 5XL. Ladies 100% Polyester Cooldry Heather Fabric 1/2 Zip Long Sleeve Top. Weight: F4 150GSM. Size: 8-20. Ladies 100% Polyester Cooldry Heather and Sports Interlock Fabric Polo. Weight: F4 150GSM. Size: 8-20. Mens 100% Polyester Cooldry Heather and Sports Interlock Fabric Polo with Sublimated Stripes. Weight: F4 150GSM. Size: S-3XL + 5XL. Ladies 100% Polyester Cooldry Heather and Sports Interlock Fabric Polo with Sublimated Stripes. Weight: F4 150GSM. Size: 8-20. Ladies 100% Polyester Cooldry Heather Fabric Sleeveless Polo. Weight: F4 150GSM. Size: 8-20. Mens 100% Polyester Cooldry Heather Fabric Polo. Weight: F4 150GSM. Size: S-3XL + 5XL. Ladies 100% Polyester Cooldry Heather Fabric Polo. Weight: F4 150GSM. Size: 8-20.